100% Satisfaction Guarantee with PrintRunner.com on all your orders! If for any reason you aren't fully satisfied with your approved print order we will provide a full refund or credit. We stand behind our product with some of the strongest guarantees in the industry! 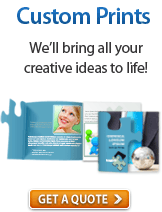 PrintRunner is committed to providing the highest quality printing at the lowest possible rates. We're confident you will be among the 100,000+ customers who love PrintRunner's superior print quality and products. If your approved print job has any print defects or is printed incorrectly, we will reprint your job free of charge or you may return your order for a full refund within 30 days of receiving your order. 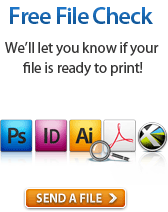 We may request digital photos, or you return the original order to PrintRunner at our cost. This Guarantee is only applicable to orders configured on PrintRunner.com. 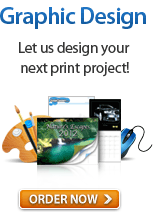 All orders over $2,000 will be reprinted to meet the customer's satisfaction. At PrintRunner, we understand how critical it is for customers to have their print materials delivered on time. That's why we employ the latest in printing technology to ensure you get your projects delivered as promised or sooner. If your approved project is late, we'll gladly discount or upgrade your shipping at no additional cost. Our On-Time Guarantee is governed by our Terms & Conditions which apply in full on all orders. If we're unable to print your files because they do not conform to our file requirements, your job status will be put "On Hold" and your ship date will be affected. Our On-Time Guarantee does not cover shipping errors created by the customer such as incorrect shipping address(es) and undeliverable packages. After an order has shipped, PrintRunner will not be responsible for late or damaged packages. PrintRunner guarantees you the lowest everyday prices on our Standard Stickers (rectangular), Labels (rectangular) and Catalog printing products – we'll stand by that promise! If after ordering a product covered by our Price Match Guarantee, you should find the same product, with the same quantities and options, within 3 business days, at a lower advertised price, we'll refund the difference. It's that simple! PrintRunner order number (If you have already placed an order. You may also contact us before you place an order if you found a better price). Proof of advertised competitor’s price by doing a screen shot and by providing Web Site address (URL) clearly showing a lower price for the exact same product. Note: PrintRunner reserves the right to reject the Price Match Guarantee request that do not sufficiently meet the requirements outlined above or do not provide sufficient proof of a advertised competitor's price on the same product with exact options and add-ons. Shipping costs are not considered to be part of any Price Match Guaranteed. This offer only applies to our Stickers, Labels and Catalogs.